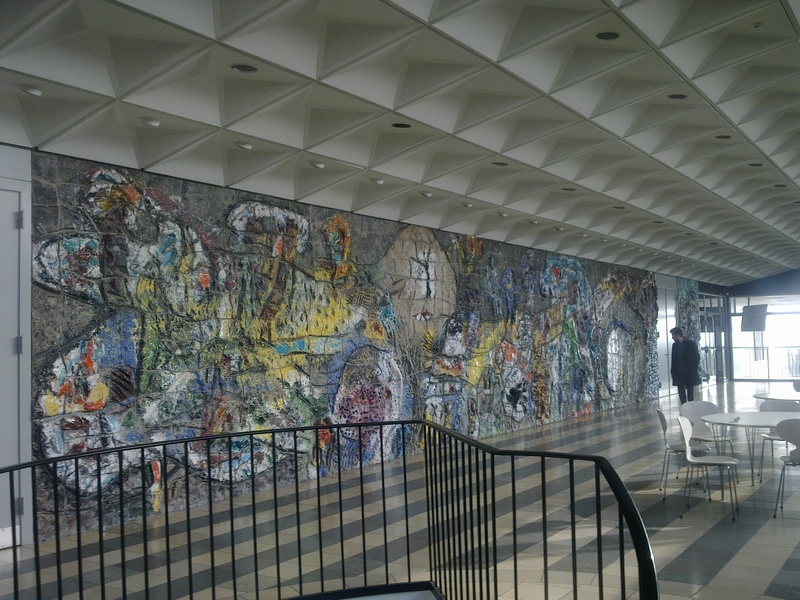 This is a brief report on Karen Kurczynski’s contribution to the ‘Cut and Thrust: Reconsidering Asger Jorn’ seminar workshop which took place at the Museum Jorn in March 2012. Below, you will also find her answer to my question about what she considers Jorn’s relevance today. Art historian Karen Kurczynski walked the other seminar participants through the museum to have a look at various paintings that relate to history and memory, stating that Jorn already broke down the division between history and memory in a way that anticipated the discourse that started in the 1970’s. She also mentioned Scanian Stone Sculpture in the 12th Century, the only report of the Nordic Institute of Comparative Vandalism that was published when Jorn was still alive. 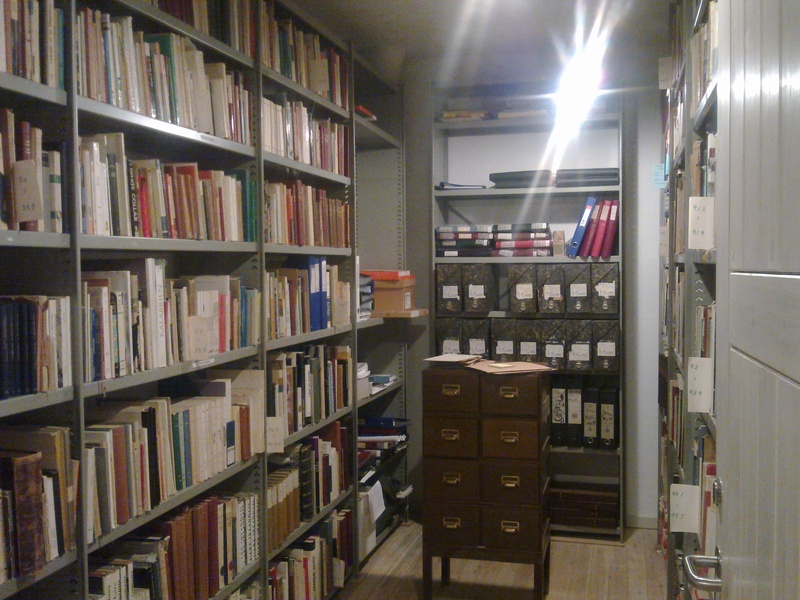 Here, he also deals with history and with archaeology (the latter he considered more interesting because it is based on objects), and the problematics of categorization within archaeology was one of his most direct concerns with this project. Kurczynski pointed out the different approach of history paintings from the 18th and 19th century, which are usually based on fiction and literature. In contract Jorn, who referred to these types of paintings in relation to his own Stalingrad painting, seemed more interested in captivating the ‘inner histories’. In his own paintings dealing with war and politics, such as The Eagle’s Share he makes use of an unheroic painting style, the paintings look rough, humorous and frightening at the same time. Also, around 1955, paintings such as La Grande Victoire (The Great Victory) in fact become the histories of their own making, with Jorn returning to them for weeks or month to rework and modify. We spend most time discussing and looking at a painting which has had three titles over the course of the twenty years of its making, and is now known as Stalingrad, le non-lieu où le fou-rire du courage. Kurczynski explained how with this painting Jorn breaks down the division between private and public, and critiqued the spectacularization of war in the media, or how it is a negation of mass media. Kurczynski’s talk, just like those by Nicola Pezolet, Steven Harris and Helle Brøns are works in progress, and to be published in full in one of the forthcoming issues of October http://www.mitpressjournals.org/loi/octo, edited by Hal Foster. I am very much looking forward to read these articles. 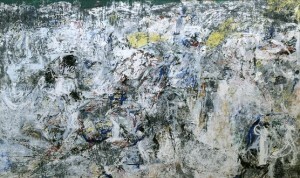 It seems that there is relatively recent change of approach among some art historians which consider Jorn’s output a tangled web of paintings and other works, collaborations and texts which in fact have one and the same underlying principle: to challenge the separation of art and politics, as well as high and low art. 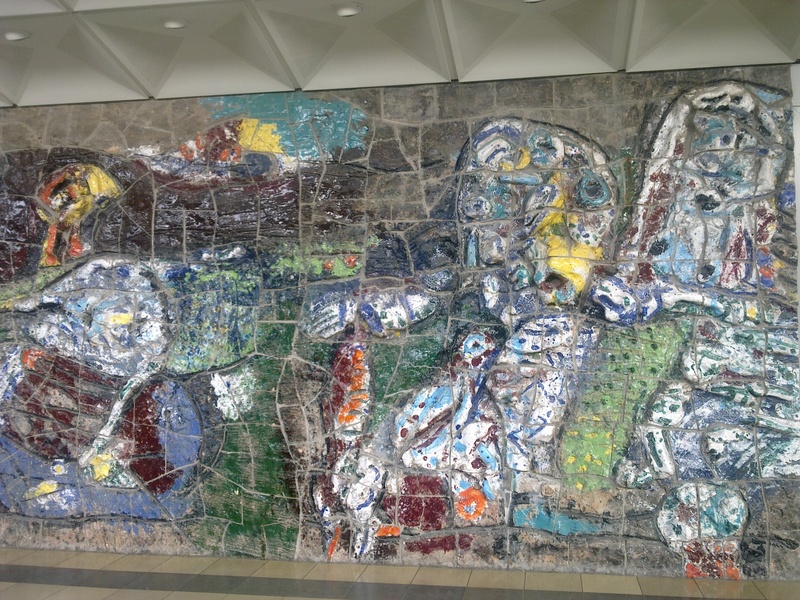 Question to Karen Kurczynski: Niels Jacobsen, who also attended the seminar told me that you recently participated in a debate about Asger Jorn. He said that you managed to formulate in a comprehensive way, what the importance of his practice is, and has been. For the Jorn beginners amongst us it might be interesting to hear your thoughts on this. Could you say something about that? 1. RADICAL POPULISM: Investigation of populist art and kitsch. Jorn’s ‘Intimate Banalities’ (Helhesten 1, 1941) http://www.museumjorn.dk/en/text_presentation.asp?AjrDcmntId=261 called for a new popular art, including pictures of tattoo designs; popular, science, and fashion illustrations; Raphael’s angels, etc. 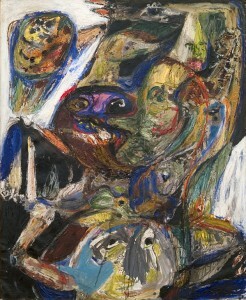 In it, Jorn calls Sunday paintings and children’s scrapbooks “the best art today.” It appeared only two years after Greenberg’s ‘Avant-Garde and Kitsch’ (which Jorn did not know about until later) but redefined the relationship of the two terms as a dialogic one rather than a binary opposition. Then, Jorn’s Modifications, which he theorized in the Cobra period but first carried out in 1959, create a dialogue with flea market paintings by amateur or marginalized professional artists. They were a Situationist détournement, a communication made of pre-existing elements that negates their original meanings, but they also contain original elements that serve as homages to outsider art. Jorn’s idea of “popular art” was a catchall term form anything excluded by high modernism (like clichés, kitsch, folk art, and aesthetics like Jugendstil or Gothic deemed “decorative” by modern functionalism). Jorn sees cultural production anthropologically, and this is part of a broader cultural development in which the social relationship among concepts of art, mass culture, folk culture, design, and kitsch are intrinsic to the meaning of the work. Jorn’s semi-abstract painting rejected the idea of “zero degree” in painting in Ab Ex and Informel. Jorn’s works always respond to the wider culture, with humor rather than high seriousness. Rather than claim the “death” of painting, he reconceived painting, attacking its position as the primary medium of monumental public self-expression. He advocated a new role for painting as a site of subversion and transient creative engagement. His humorous press release for the 1959 Modifications show negated avant-garde claims to progress and special social status. Lyrical paintings like Ausverkauf einer Seele approach the visceral immediacy and gestural drama of Ab Ex but include grotesque faces that introduce an element of humor, and debunk its mythic status by overtly referring to its own commodity status in the title. I just wrote a piece for the upcoming issue of October on Asger Jorn about two projects by Asger Jorn and Guy Debord that present critical investigations of history, memory, and art, the artist’s book Mémoires and the painting Stalingrad, Le non-lieu, ou la fou rire de courage. These projects indicate that contemporary public representations of history in documentary images or “authentic” memoirs written by historical figures are nothing but spectacle, replacing actual memory. They raise important political questions about who has the right to turn memory into history, and although today they are artworks they arose out of the explicit political engagements and social critique of the SI. Mass media accounts of Stalingrad showed the battle as a major victory for the Allies, but Jorn relates the traumatic battlefield as an image of total annihilation threatened by the current events of the Cold War after the signing of the NATO pact in 1949. 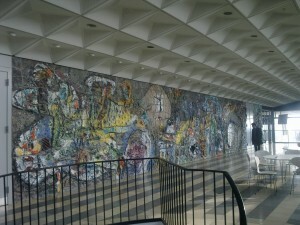 Jorn’s interest in architecture began when he was a student of Léger and assistant on a mural project for Le Corbusier in the 1930s, and culminated in the 1959 Århus mural, an 80-foot-long ceramic mural installed in the Statsgymnasium, Århus, and its accompanying tapestry project Le long voyage woven by untraditional, semi-spontaneous methods in Pierre Wemaëre’s workshop in Paris. These attempted to revive traditional media such as ceramics and tapestry, devalued as outmoded by modernism. They provided populist alternatives to the celebrity culture of the art world and the impersonality of mass culture. 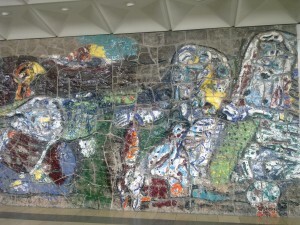 They also came out of Jorn’s active interest in collective production, epitomized in the “Ceramics Congresses” he organized in Alba in 1954–55 and his writing on ceramics and other outsider arts as anonymous collective production that supersedes national borders. 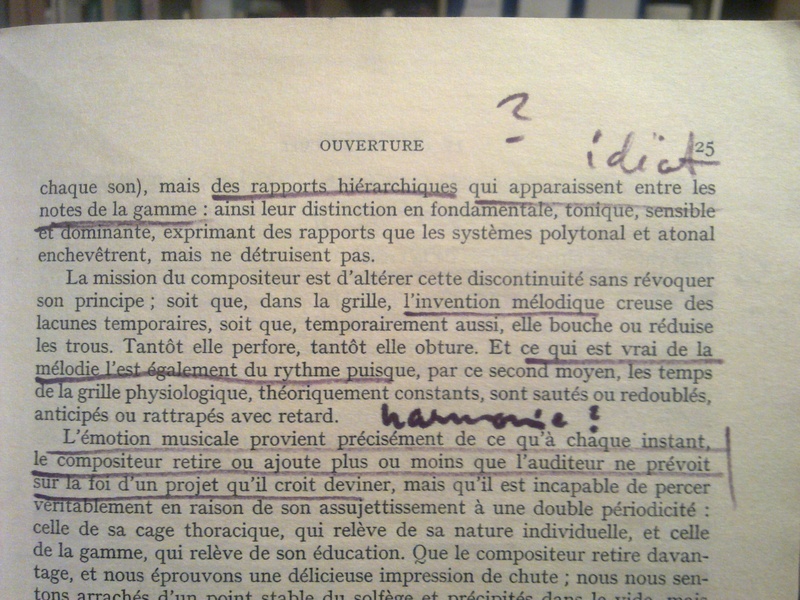 In his book projects like Signes gravés sur les églises de l’Eure et du Calvados, 1964, and the projects relating to the Scandinavian Institute for Comparative Vandalism (1961-65), Jorn rewrites art history by investigating marginalized Scandinavian art. He defines Nordic culture as based on geography and political marginalization, not on any essential identity. Signes gravés describes the graffiti carved on church walls by Viking “vandals” in northern France, investigating a form of outsider expression that long interested the avant-garde. In the era of Conceptual art Jorn begins investigating photography as an art in the photo-book, with the help of photographer Gérard Franceschi. These projects return in some ways to his experiments in articles in the 1940s. In conclusion, in the contemporary period where all artistic experiment is institutionalized and professionalized, Jorn’s work suggests powerfully that authentic creativity must actively reject its own institutionalization. 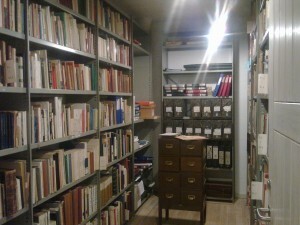 This is a brief introduction to a seminar workshop that I attended in March 2012 at the Museum Jorn. 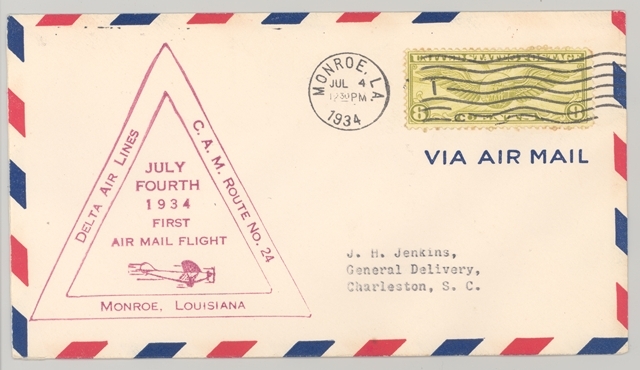 Other blog entries contain brief reports and dialogues with and between the participants. ‘Cut and Thrust: Reconsidering Asger Jorn’ was a non-public seminar with presentations by art historians, cultural theorists, and a physicist. They kindly welcomed me to listen in on presentations on social engagement, action, aesthetics, art history, science and vandalism. I have very much valued the way the organizers (Helle Anita Brøns for the Museum Jorn and the Statens Museum in Copenhagen) dealt with the constellation of guest speakers. The constellation allowed a platform to more inclusive approaches to Jorn’s ambiguous position within the various avant-garde movements and –ideologies, and the deliberate paradoxicality of most of his works (e.g. the contradiction between Jorn´s collectivist projects such as Helhesten, Cobra and the Situationists, and his role as a great male, modernist painter). Jorn in Albisola, 1961. 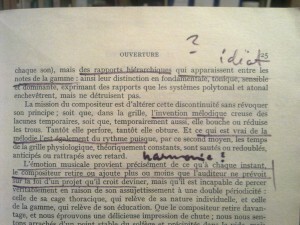 Photo: Bartoll. The semimar workshop was hosted by Museum Jorn, which in a way was another one his projects – this time of a more curatorial nature. 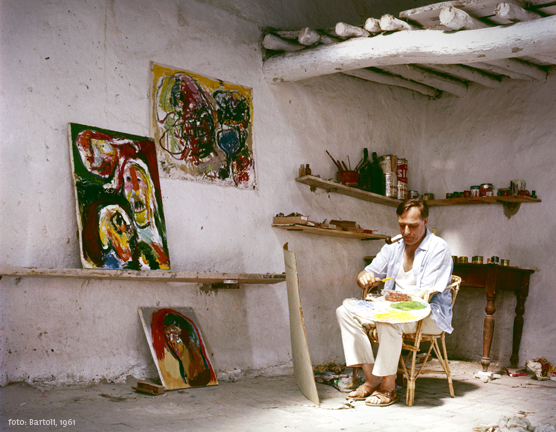 Throughout his life Asger Jorn collected art works by other artists, and around 2.000 books on prehistoric art, folk art, various civilizations around the world, philosophy, mathematics, linguistics, and all kinds of other topics. Jorn donated these art works, as well as works of his own to a museum he helped to found in his native town Silkeborg, Denmark. 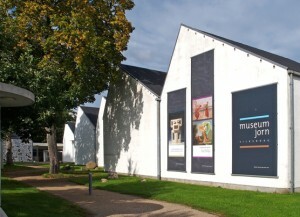 Today the museum (now renamed into Museum Jorn (http://www.museumjorn.dk) not only houses an impressive art collection and many many books, but also Jorn’s notebooks, his unpublished texts, and an archive of around 15.000 photographs which were made for Jorn´s ‘Nordic Institute of Comparative Vandalism’.